Dan Deacon’s music has always been a mess of contradictions: chaotic yet organized, abrasive yet melodic, challenging yet never intentionally alienating. And he has never put those contradictions to better use than on 2012’s America. 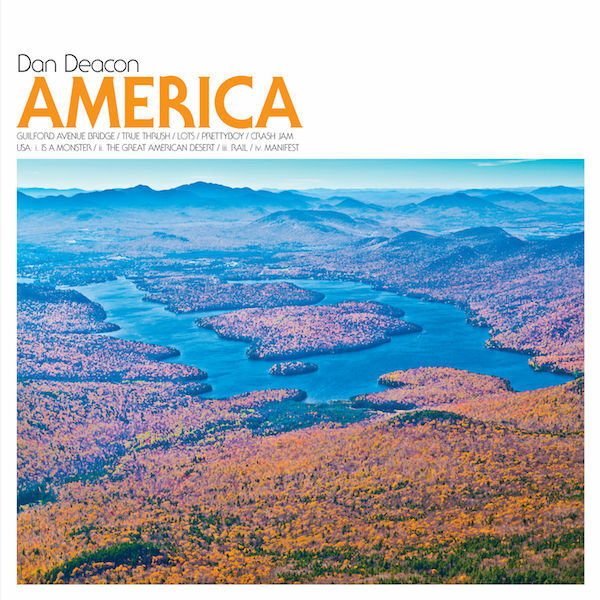 From Deacon’s deft handling of the quicksilver shifts in tone to the grand, conceptual sweep of the four-part “USA” suite that closes out the album, there’s a cohesiveness and maturity here absent from his previous work, the sound of an artist applying what he’s learned over the years. And while “maturity” can imply straight-jacketed creativity, that isn’t the case here. His renewed focus instead results in his most accomplished work yet, even eclipsing his fantastic 2009 effort, Bromst. Part of this has to do with the no-doubt-larger budget afforded to him by Deacon’s switch to the bigger, though still independent, label Domino, which gives America a fuller, richer sound, but even more of it has to do with the depth and variety of his productions. He still can churn out bombastic, hyperactive pop—the brilliant “Lots” and “True Thrush” are two of his best in that department—yet it’s the more ambitious, nuanced moments that make the album the achievement it is. Bromst saw Deacon layering vocals and experimenting with live instruments, and on America, he builds on that template, weaving in orchestral and vocal arrangements into his electronic jumble. Moreover, he does this seemingly effortlessly, allowing for the “USA” suite to fluidly walk the line between regal, widescreen epic and cut-and-paste noise as it builds to a subtly uplifting finale. And even on the more raucous, freewheeling songs like “Crash Jam,” which feature so many sounds and textures that they could potentially capsize the ship, Deacon exhibits a firm grasp over the mix, so each digital manipulation and buried vocal hits with maximum impact. It’s easy to see America as Deacon’s take on Kraftwerk’s seminal 1977 album, Trans-Europe Express—after all, both are hypnotic, electronic symphonies that work to explore and glorify a storied homeland. Plus, “Rails”‘ swirling synth patterns and motorik rhythm vividly recall the famed German band’s heyday. But Deacon’s working on his own terms, sculpting an album that moves into bold, new territory without sacrificing his own identity. With an album as dissonant, beautiful, friendly and provocative as this, he may have ended up doing the United States, a land known for its extremes and contradictions, justice after all.